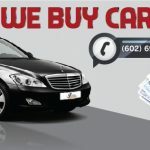 Car Buyers Arizona purchases cars on the spot. They provide a fair price and a cash offer with No hassle. We Will Buy Your Car, No Strings Attached. Get Paid Today! Our customers love the no hassle cash offer we provide. 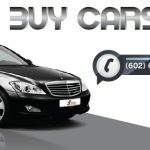 We buy cars and trucks of any make or model. Just come by our newest location with your vehicle for a cash offer. If you want to Sell your Car, stop by 22216 N 23rd ave Phoenix today.